North Korea’s quest for nuclear weapons is often depicted as a ‘rational’ response to its strategic imperatives of national security and regime survival. After all, the country is surrounded by larger, supposedly hostile states, and it has no allies on which it can rely to come to its defense. It is only logical, on this view, that Kim Jong-un wants to avoid the mistake made by Iraq’s Saddam Hussein and Libya’s Muammar el-Qaddafi, both of whom would still be alive and in power had they acquired deliverable nuclear weapons. In fact, North Korea’s appetite for nuclear weapons is rooted more in aggression than pragmatism. North Korea seeks nothing less than to decouple the United States from its South Korean partner—a split that would enable the reunification of the Korean Peninsula on Kim’s terms. In other words, North Korea does not want only to defend itself; it wants to set the stage for an invasion of its own. Of course, such a scenario is, in many ways, the stuff of fancy. 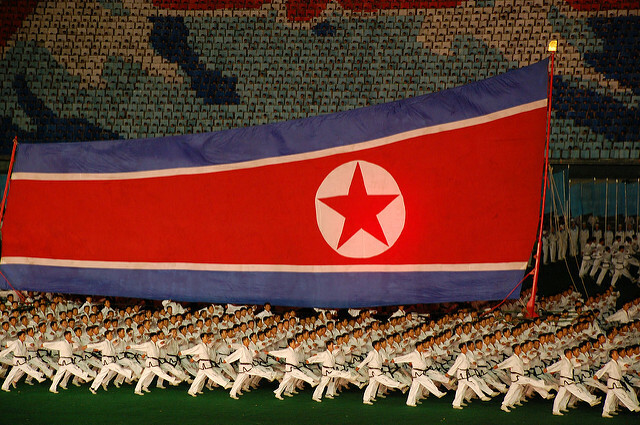 But to be a North Korean today is not necessarily to accept the world as it is. And North Korean propaganda continues to reiterate the view that the Korean Peninsula consists of one people, sharing one language and one culture, indivisible—except by outsiders like the US. By this logic, the North needs to find a way to discourage those outsiders from intervening in the peninsula’s affairs. As it stands, the US-South Korea relationship operates on the basis of something like the North Atlantic Treaty’s collective-defense clause, Article 5: any North Korean aggression against South Korea will, it is assured, be met by the combined forces of South Korea and the US. Such a counterattack would be decisive, ensuring the total destruction of the North Korean regime. If North Korea had long-range nuclear weapons, however, it might be able to change the strategic calculus, by threatening to launch a nuclear attack on the US mainland in response to US intervention on the Korean Peninsula. The US might intervene anyway, launching its own devastating attack on North Korea. But it might also choose not to risk casualties on its own soil. If the US did shirk its collective-defense responsibilities, South Korea would still have plenty of recourse against its northern neighbor. After all, South Korea’s conventional forces are far better trained, equipped, and motivated than their North Korean counterparts. But it is hard to say whether the North Koreans know that. Like many dictatorships before them, they may be the first to believe their own propaganda—in this case, that they can succeed against a South Korean foe that is not buttressed by American military might. In any case, North Korea—which has invested heavily in forward deployed special forces and other asymmetrical elements of contemporary warfare—seems to be gearing up for an offensive, if only it can get the US out of the way. Against this background, efforts to bring the Kim regime back to the negotiating table—spearheaded largely by China—are misguided. Such efforts aim to persuade North Koreans to freeze all missile and nuclear tests, in exchange for a scale-down and delay of annual joint exercises by US and South Korean forces. Advocates of this so-called ‘freeze for freeze’ approach say that such a tradeoff is only fair: the North cannot be expected to suspend its efforts to strengthen its defensive capabilities if the US and South Korea are pursuing supposedly hostile military cooperation in its near-abroad. But this argument has it backward. In fact, it is the North whose activities are inherently hostile, and the South, along with the US, that is focused on defense. Indeed, planning for the annual US-South Korea spring exercises is always based on the premise that North Korea has invaded the South, not vice versa. North Korea knows this well. But North Korea also knows that, without joint exercises, a military alliance becomes weak and hollow. In 1939, for example, when Germany invaded Poland, the British and French, per their treaty with Poland, declared war on Germany. But, in reality, they did little to protect Poland, which Germany subjugated rather quickly. If the US suspends joint military exercises with South Korea, its willingness or ability to respond to North Korean aggression in the South may become similarly weak. This scenario is all the more dangerous, given the possibility that the suspension of missile and nuclear tests may not actually lead to a concomitant weakening of North Korea’s nuclear program. Testing is only a small element of a weapons program—and not necessarily an essential one. There is no sign that the North Koreans would actually end research and development of nuclear weapons. In fact, the idea that North Korea will abandon its weapons programs in exchange for the promise of security and regime survival has been tested has failed whenever it has been tested. In September 2005, five world powers, including the US, offered North Korea an unimpeded civilian nuclear program, energy assistance, economic aid, and diplomatic recognition, as well as a promise to establish a regional mechanism for maintaining peace and security in Northeast Asia. A US commitment not to attack North Korea with conventional or nuclear weapons was also included in the deal. All North Korea had to do to secure these benefits was abandon its nuclear-weapons programs and accede to the Treaty on the Non-Proliferation of Nuclear Weapons. But the North was not willing to allow for a credible verification protocol. Instead, it attempted to limit verification to that which was already known. In the end, it walked away from the agreement, rather than work to find an acceptable way forward. A stronger and more purposeful US-China dialogue on North Korea is essential to resolving what is emerging as the world’s most urgent security problem. But the discussion should focus on direct measures to impede and undermine the country’s inherently aggressive nuclear program—not to offer more concessions that will only strengthen a rogue regime’s hand. Christopher R. Hill, former US Assistant Secretary of State for East Asia, is Dean of the Korbel School of International Studies, University of Denver, and the author of Outpost. This article is presented in partnership with Project Syndicate © 2017. Image courtesy of Flickr user (stephan).